Ana will explain and guide everyone in working with the sacred geometry of Metatron's Cube and using it for the construction of a crystal grid to amplify the energy for all that we will be setting the intentions to manifest. She will lead the group in a sacred sound clearing with the playing of a crystal bowl as well as vocal toning of the ancient Tetragrammaton and other sacred chants. Then she will lead everyone in a GROUP construction of a small 12 -14 inch Metatron's Cube Crystal Grid which will serve as the main altar piece to amplify our energies in the room during the Angelic Transmission from Archangel Metatron and the guided Manifestation Meditation which will follow. Each participant is asked to bring a SMALL crystal or gemstone to place in the grid for the evening. After the event you will be taking your newly charged crystal/stone back home with you for further manifestation work after this workshop/gathering has ended. 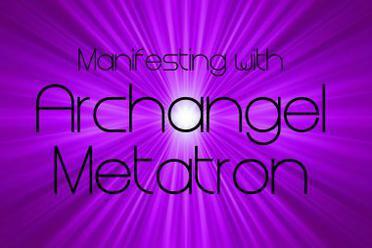 Ana will briefly introduce you to Archangel Metatron ---The Archangel of Manifestation. She will share teachings about WHO Archangel Metatron historically is as a Master Teacher of The Sacred Matrix/Web of Life, Celestial Architect of The Akashic Records and Master of Manifestation. She will also introduce you to the powerful sacred symbol known METATRON'S CUBE and how she has been guided to use it for manifesting intentions and goals. Rev. 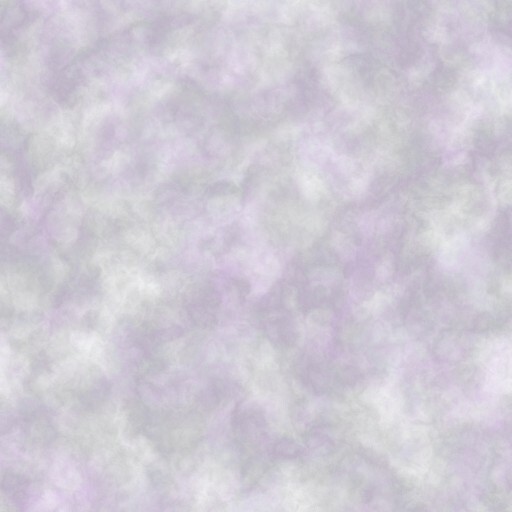 Ana will then ask Archangel Metatron to give guidance about how we can Manifest Our Hearts True Will and then, using her gifts as a trance medium, and her deep connection with The Angels, she will go into a very deep meditative state and provide a vocal transmission of a message from Archangel Metatron. 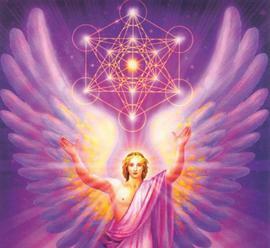 Metatron's Cube is a sacred symbol of mystical power associated with the Archangel Metatron that contains within it's transcendental form all of the sacred geometry necessary for manifesting everything into physical form!!Rev. 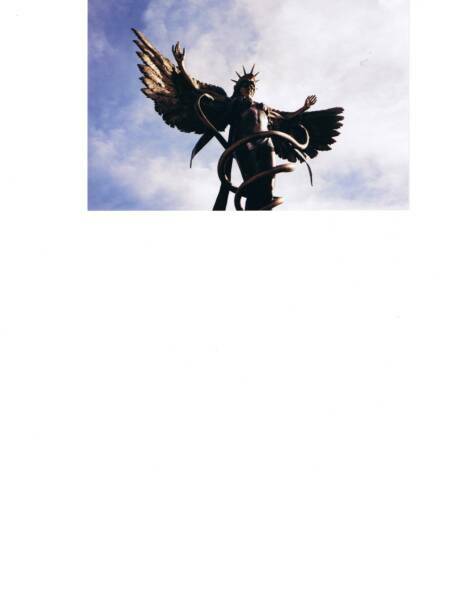 Ana Jones will be leading a brand new meditation with Metatron's Cube that she has recently written and compiled from teachings she has given on Archangel Metatron and messages she has received from Metatron as an Angel Medium (see her bio below) . MANIFEST YOUR GOALS, DREAMS & INTENTIONS! Rev. 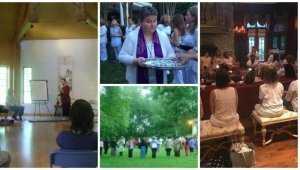 Ana has led hundreds of sacred ceremonies, energy activations, pilgrimages, retreats and spiritual events for over 35 years of deep mystical connection lightwork. She is considered an expert in her field, and is known as "A TEACHER OF THE TEACHERS AND HEALER OF THE HEALERS." Her knowledge of spirituality, world religions, angels, higher beings, ascended masters, holistic healing, energy medicine, planetary transformation, sacred time, and the ongoing Shift of The Ages is VERY broad and deep. She is delighted to spend this special evening in the Washington DC Metro Area anchoring in the powerful energies of The Changing Times we are living in!! Rev. Jones is an internationally known interfaith minister, professional intuitive, clairvoyant trance medium and master healer who has been a featured guest on talk radio, and a guest speaker at dozens of bookstores, expos, and healing centers throughout the country. She is the author of ‘The Teachings of Archangel Michael: A Handbook for Humanity” and the recording artist of several lecture and meditation CD’s and MP3's. Rev. Jones is traveling in MD for a limited time only traveling from her new home office in California. Ana also hosts FIVE very popular facebook pages, including her Archangel Michael & The Legion of Light facebook page which is a thriving online community of 450,000 people world-wide.